Can We Grow Healthy Food in an Unhealthy Environment? 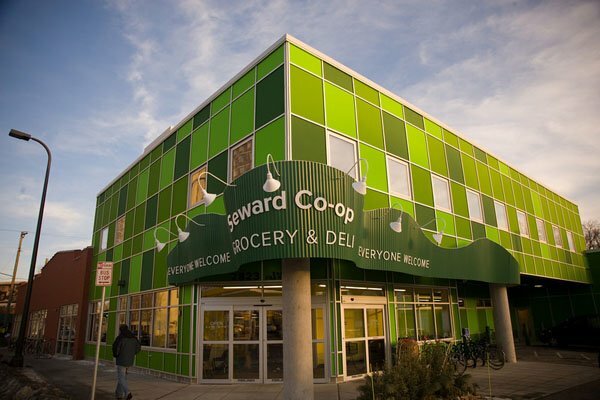 I attended a class at the Seward Coop this morning on “How to Shop the Coop.” The woman who taught the class repeated a claim I’ve heard before that organics have more nutritional value. And furthermore, that food today is less nutritious than in the past. I wondered what the research was behind these claims so I thought I’d investigate. I found several articles about the research into nutrition past, present and future. A 1981 study that found that while (chemically) fertilized plants had more minerals overall than unfertilized plants, there was such an increase in dry matter that all mineral concentrations were reduced (less available to the person eating the food), except phosphorus. Historical food composition data from three different reports, which found median declines of 5 to 40 percent or more in some minerals and, in one study, a similar reduction in vitamins and protein. A study of low-yield and high-yield plants (think heirloom vs conventional seeds), grown under the same conditions, consistently found that high-yield plants had lower concentrations of minerals and protein. By focusing on yield without looking at nutrient value, we are actually working at cross purposes. If you know of other research, please leave a comment. Are Organics Better? There are quite a number of news stories to be found online saying there is no difference in nutritional value between crops produced on factory farms and crops grown organically. The Organics Trade Association acknowledged the controversy over nutritional value and wrote about the source of these stories. It appears to be a misreading of research that appeared in The American Journal of Clinical Nutrition. Researchers from the London School of Hygiene and Tropical Health said that they had found only 12 studies with any relevance to nutrition-related aspects of organic food and most of those studies were poorly designed and flawed. They said more research needed to be done. Clearly not the same as saying there is no difference. Whether the claims of increased nutrition are true or not, it is widely agreed upon that organic vegetables and fruits have significantly less (or no) toxic chemical residue from pesticides, herbicides and fungicides. This is particularly important for children’s growing bodies and brains. Future Food: Over at Science 2.0, I found an article reporting on the effects of rising atmospheric carbon levels on our food supply. Professor Max Taub at Southwestern University analyzed more than 200 experiments conducted by other researchers on the effects of increased carbon dioxide on protein in food. These experiments were done on key survival crops that account for as much as 40 percent of the protein consumed by people worldwide: barley, rice, wheat, soybean and potato. “When carbon dioxide rises in the atmosphere, most plants show increased concentrations of carbon in their tissue and reduced concentrations of other elements, including nitrogen, which is a key component of proteins.” He said that while decreased nitrogen can be partially overcome by the use of fertilizers containing nitrogen, that can have negative effects on the environment and, as seen in the study at top, on the nutritional content of the food. My husband asked if this is enough of a reduction to matter. I don’t know. It might matter a great deal to the estimated 826 million people worldwide who are malnourished. According to Worldhunger.org, protein-energy malnutrition is the most lethal form of malnutrition. What happens when there is not only not enough food, but what food there is has less protein? For vegetarians, for those who love to garden, for those in the sustainability movement who are most energized by the issue of local food, this research should be a strong motivation to take action to curb carbon emissions. The health of our food supply is one more way that our lives depend upon it. This entry was posted in Climate Change/Science and tagged carbon emissions, effect of global warming on food supply, gardening, nutritional value, organic food. Bookmark the permalink.